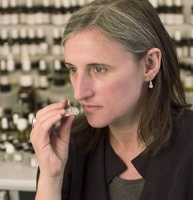 Isabelle Doyen graduated from the ISIPCA perfumery school in 1982. She eventually went to work as an assistant to Annick Goutal; after Goutal passed away she continued to work as a perfumer with Goutal's daughter, Camille. See all articles on Now Smell This tagged Isabelle Doyen. Read Isabelle Doyen and Camille Goutal at Ma Recreation, or check out this interview at Grain de Musc. Also: Spending quality time with Isabelle Doyen and Camille Goutal at Basenotes.